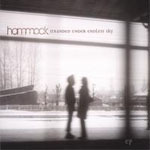 I’ve had all Hammock releases in FLAC except for this EP called Stranded Under Endless Sky, so I decided to buy it because I think it’s the best Hammock release so far (even better than Kenotic). The last two tracks are absolutely sad and wonderful, if you like not completely electronic ambient music, you have to hear it. These tracks are in the top 5 of the world’s most beautiful songs, full of emotions and magic, I can’t even describe it. The album’s cover perfectly matches the music, those winter scenes with the bald trees in black & white… I like when artists try to express emotions not only in music, but on covers as well. If you don’t know Hammock (you should, my 2nd Dreamport mix contains the track called An Empty Field), and you like quality ambient music, electric guitar, beautiful pad synths, classical instruments and heart beating drums then you definitely have to listen to it here and here and buy Kenotic or this EP here.